We love living in New Jersey and as a person who also lives here, we’re sure you do as well. This beautiful state is a great place to spend your summers because of the relatively mild heat and the obviously amazing proximity to so many incredible things. At Lawn Connection, we have been serving several counties in this beautiful state long enough to know what your lawn needs in order to thrive throughout the summer. Because let’s be honest, although New Jersey is a wonderful place to live, the summer heat can cause serious damage to your lawn if you are not taking care of it the proper way. We have reflected a lot on what the proper method of mowing is if you want your lawn to look great all summer long. For the most part, you want to make sure that your grass is between 3 ½ and 4 inches high. The higher you leave your grass, the more water it will need, but we’ll get to that later. When you do mow, make sure that you are only cutting off the top one-third of the grass blades and that when you do, that your mowing blades are sharp. If they are not, you could cause irreversible damage to your lawn, at least for the season ahead. Additionally, make sure that you do not mow during the hottest time of the day or when your lawn is wet for best results. On average, your lawn should be getting one to one and half inches of water each week, even on the very hottest of days. In order to know how much your lawn is getting watered, especially if you do not have a sprinkler system, we would suggest that you place a coffee can outside of your home to collect precipitation. This way you will know when you need to water your grass and when it has received enough water already. 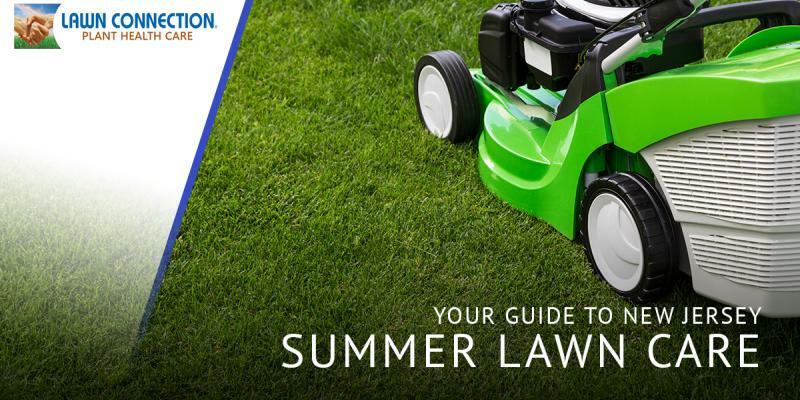 If you want to make sure that your lawn isn’t taken over by weeks this summer, we would suggest that you take a few important steps. The best way to prevent weeds from growing is to take care of them before they ever begin to grow. Using the right herbicides at the right times will almost always result in your having less weeds in your lawn altogether. Be sure that you don’t get confused and use a grass killer instead. Often people are not sure what to do with their grass clippings once they have mowed their lawn. Some choose to rake the clippings and throw them out. However, we wouldn’t suggest that you take this course of action. Instead, leave the clippings on the grass and allow for them to break down, lending more nutrients to the growing of your lawn. If handled properly from the beginning, you can prevent insects and disease from ruining your lawn. On the other hand, handling this sort of situation on your own very rarely turns out well. We would suggest that you consult with a professional lawn care company if you find that your lawn is being infested by insects or disease. Your lawn should be fertilized multiple times throughout the season if you want to ensure that the root system of your lawn stays strong so that it can stand up to anything that may be thrown at it. Whether it be a storm or foot traffic, the stronger your root system, the better. The most important things you need to remember when it comes to caring for your lawn this summer is that it won’t be easy. There is a large amount of time and energy that is required if you want to have the most beautiful lawn on the block. Then again, you could always skip the strenuous work and opt for another method of assisting your lawn this summer. Hiring the professional lawn care team at Lawn Connection is absolutely your best bet if you want a lawn that is healthy and will remain that way throughout the heat. Our experts are more than qualified to take care of your yard in every way. Contact us today and learn more about what we can do for your New Jersey home.